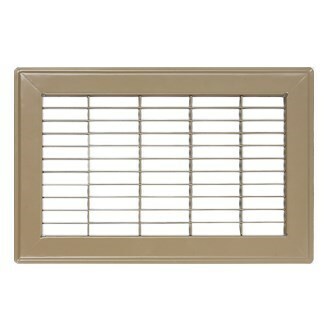 All of Accord Ventilation's Floor Registers and Grilles have an Electro-Coating and Powder-Coating that provides excellent coverage, durability, superior corrosion-resistance and a flawless appearance. They also are made of heavy-gauge steel that gives each product commercial grade quality and strength while ensuring outstanding performance. Attractive space-saving switches operate easily. Precision stamping and hand-finishing ensures that each register and grille will have a smooth surface. Each part is individually inspected for quality before it is packaged and shrink wrapped.